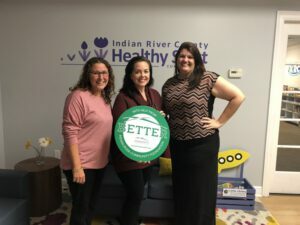 Indian River Healthy Start Coalition focuses on educating future mothers on proper care and nutrition for their newborns and themselves. One of their main programs is Healthy Families. Healthy Families is a nationally accredited home visiting program for expectant parents and parents of newborns experiencing stressful life situations. Through the generosity of an anonymous donor, Indian River Community Foundation had the pleasure of awarding Healthy Start Coalition a check for $20,000 to fund programs like these. To learn about more the programs Indian River Healthy Start Coalition offers, visit our Nonprofit Search.